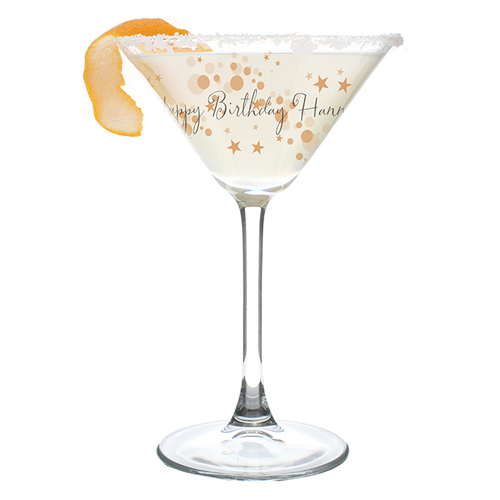 You can personalise this cocktail glass with a line up to 50 characters in length. All personalisation is case sensitive and will appear as entered. This glass comes in a silver folding box. Personalise this cocktail glass with a line up to 50 characters in length.